This has been said, written, and pushed repeatedly. According to Wikipedia, these countries are currently considered rogue states. The term, however, is undefined and the US Department of State officially stopped using the term in 2000. Russia denies responsibility and uses its veto authority in the UN to escape punishment. Now, through its actions, it has confirmed that it is a rogue state, Russia has made its choice and confirmed it’s a rogue state by Keir Giles on CNN. Russia must be held accountable and punished. Editor’s note: Keir Giles is a senior consulting fellow of the Russia and Eurasia program at Chatham House. 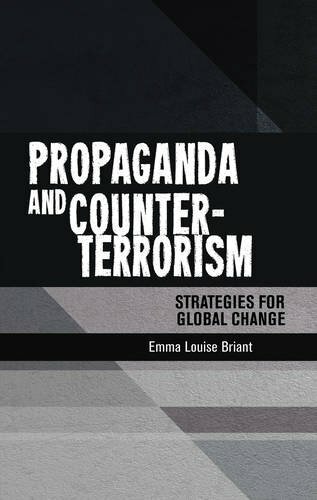 He is also a director of the Conflict Studies Research Centre, a group of subject matter experts in Eurasian security. The opinions in the article belong to the author. (CNN) At the United Nations on Thursday, Russia had a golden opportunity to show the world that it is not a rogue state. Instead, Russia’s ambassador fell back on a familiar ritual of denying everything and passing the blame to anyone but Moscow. When the UK presented the UN Security Council with the findings of its investigation into the Salisbury Novichok attack, Russia could have chosen to de-escalate tensions and salvage at least some of its international reputation. This need not even have involved admitting culpability. The naming of the two suspects in the attack gave Russia the opportunity to demonstrate — or at least pretend — that it was not involved. 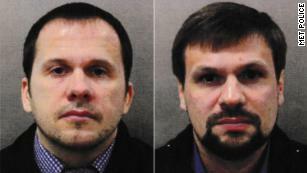 The two were travelling on genuine Russian passports. Russia knows who those passports were issued to and who booked the tickets for them to travel to the UK. If Russia wants to show that it did not order the attack, it could identify these two individuals — even if only as an attempt to prove its innocence. Failure to do this, and instead protecting the two suspects, confirms that Russia at the very least condones the use of nerve agents to carry out attempted murder on foreign soil. It also confirms the British assessment that this was not a “rogue” operation, but ordered at the highest levels of the Russian government. As it is, Russia’s UN representative resorted once again to hollow denial and sarcasm, without even the slightest expression of regret that an innocent woman had died and the lives of several others have been permanently affected through the actions of its intelligence officers. A round of statements from countries represented on the UN Security Council either condemned Russia or were cautiously equivocal, depending on how much each country has to lose from falling out with Moscow. But the response from Ambassador Vasily Nebenzya was straight out of Russia’s standard playbook when caught doing something appalling, whether seizing Crimea, shooting down MH17 or releasing weapons of mass destruction on British streets. First, deny everything and say there is no evidence. Then, when the evidence is produced, deny everything and claim it is all fake. Oblivious to irony, Nebenzya called the UK’s evidence lies, accused Britain of inventing fake news and bemoaned the post-truth world, then attempted to pick holes in the evidence with distortions of the facts that are already familiar from the efforts of Russia’s troll army and conspiracy theorists. And a flat denial that Russia has ever manufactured or stored Novichok was combined with an apparent expert opinion on safely transporting it. The Security Council meeting also heard calls for further evidence against the two suspects to be divulged. We may well see more information released by the UK on their known movements and activities. Images of their passports, which will have been available to the British authorities from their visa applications, were a notable omission from the package of evidence released on Wednesday. But this will not include the evidence used to assess that a conviction would be probable. Because this is a criminal investigation case, evidence against a suspect is released in a courtroom, not in the media. That means that Russia will once again make capital on the fact that the details of the investigation are being kept confidential. There will be renewed suggestions that it is all a fabrication because the UK cannot produce evidence. Russia, of course, would be delighted to see the complete package of evidence because it would tell Moscow a great deal about just what the UK’s police and security services are capable of when it comes to preventing or detecting future attacks. But by releasing the details it has, the UK has passed the case over to the combined resources of Russian and world media to carry out further investigation. The hunt is on for the two individuals shown in the passport and CCTV photographs. Friends, relatives and acquaintances in Russia know who these two men are; and at least some of them may well be happy to cash in by selling that knowledge to the media. We can expect the real names of “Petrov” and “Boshirov” to emerge soon. Meanwhile, at the UN, Russia had a chance to behave as a responsible country that values normal and constructive relations with the rest of the world. Instead, it chose to continue down the path to international pariah status. Russia’s culture of denial seems so deeply ingrained that it is incapable of stepping back from a lie and recognizing the heinousness of its actions. Alarmingly for the rest of the world, that raises the danger of further, even more reckless acts by Moscow in the future. Previous Post Race to develop artificial intelligence between China and U.S.